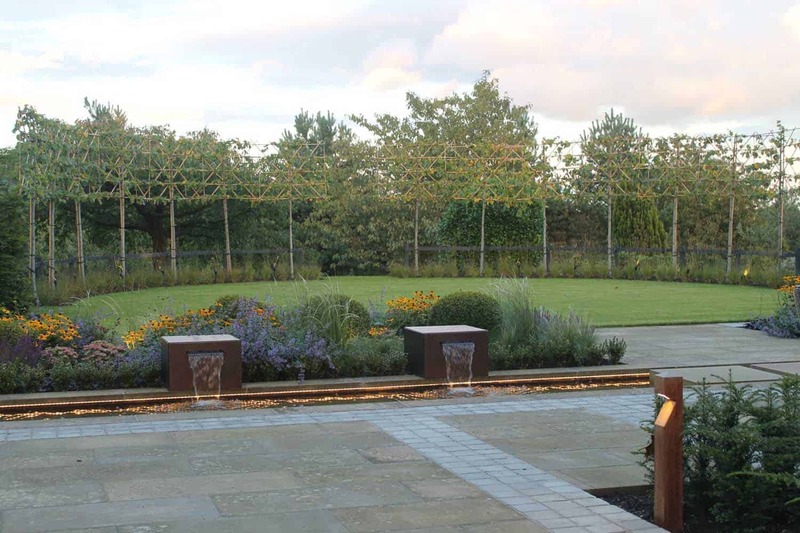 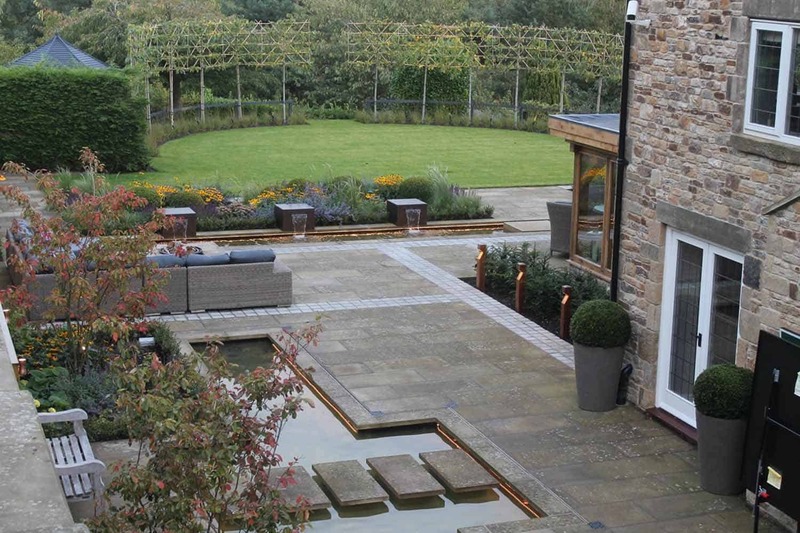 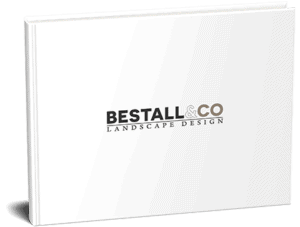 This client enjoys rural views from their new orangery, set within this modern semi formal garden. 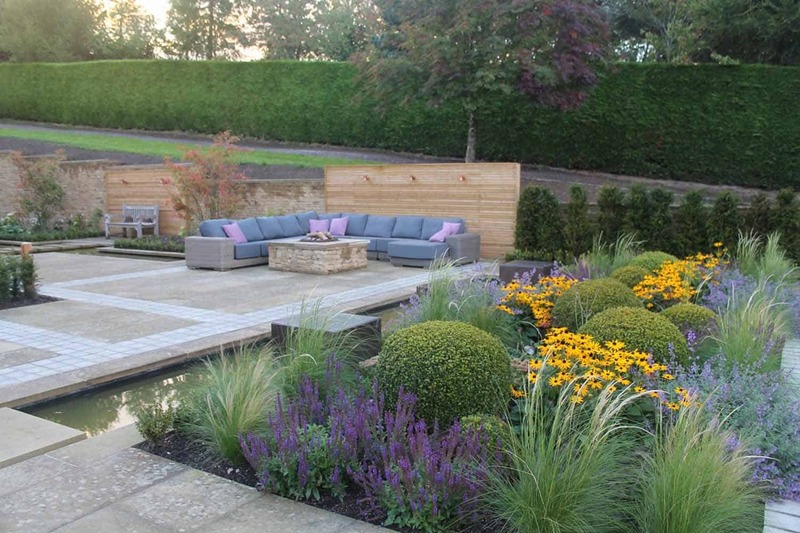 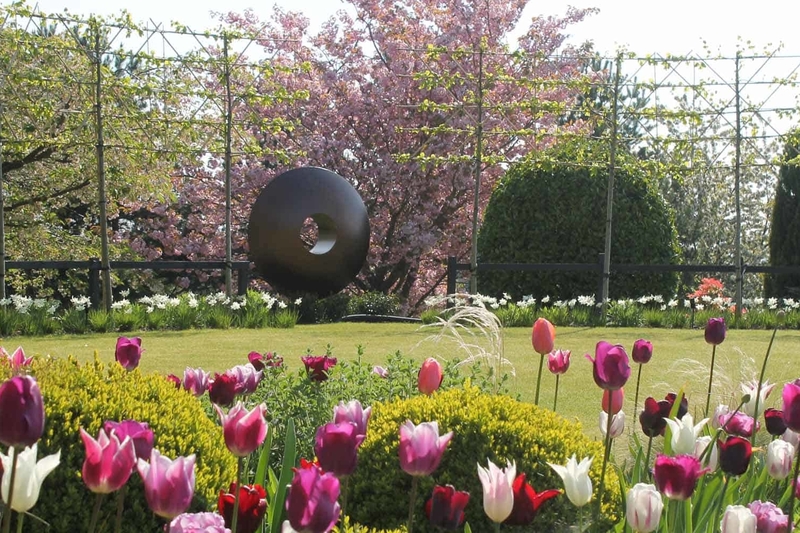 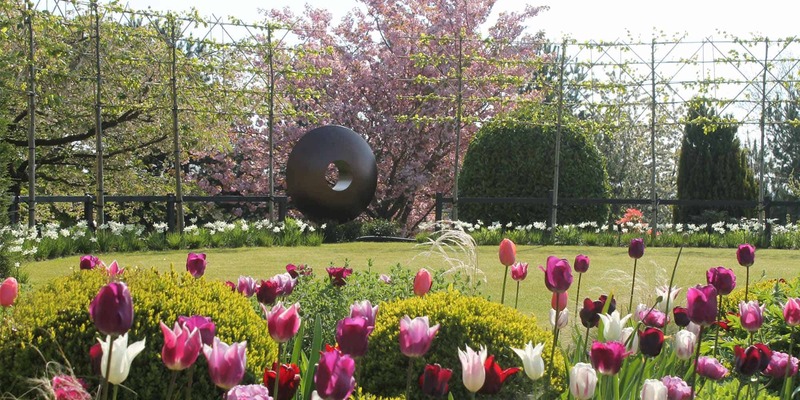 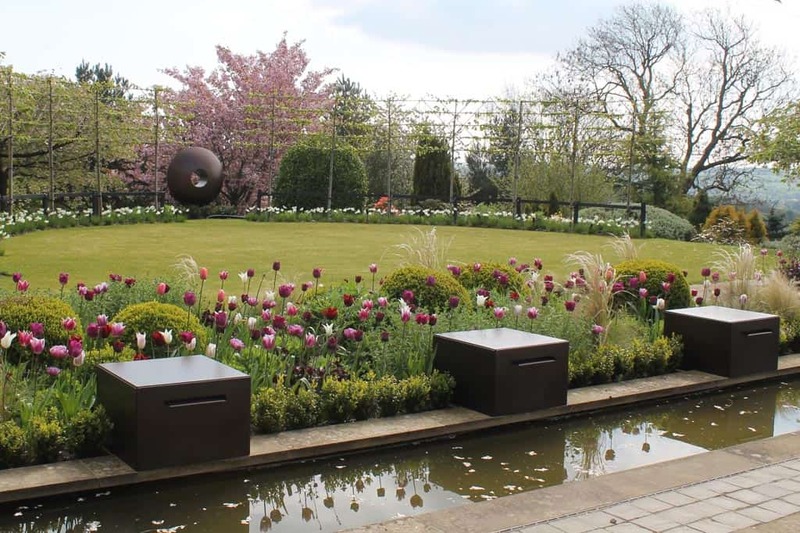 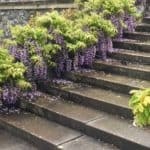 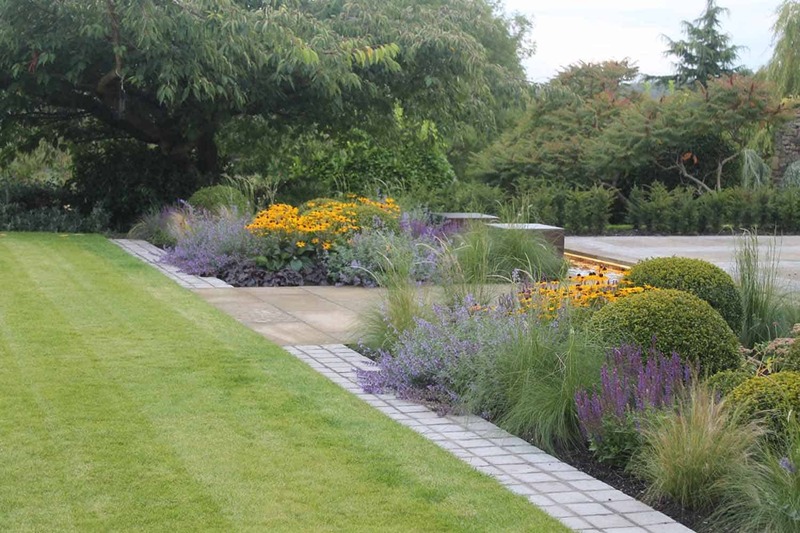 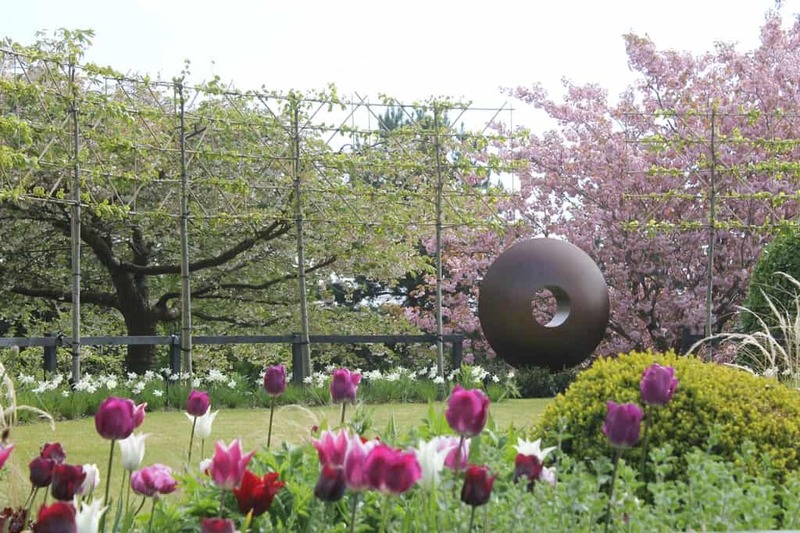 Stilted hedging provide a visual ‘end’ to the garden, and the beautiful semicircular level lawn forms the perfect canvas for the soft planting and sculpture. 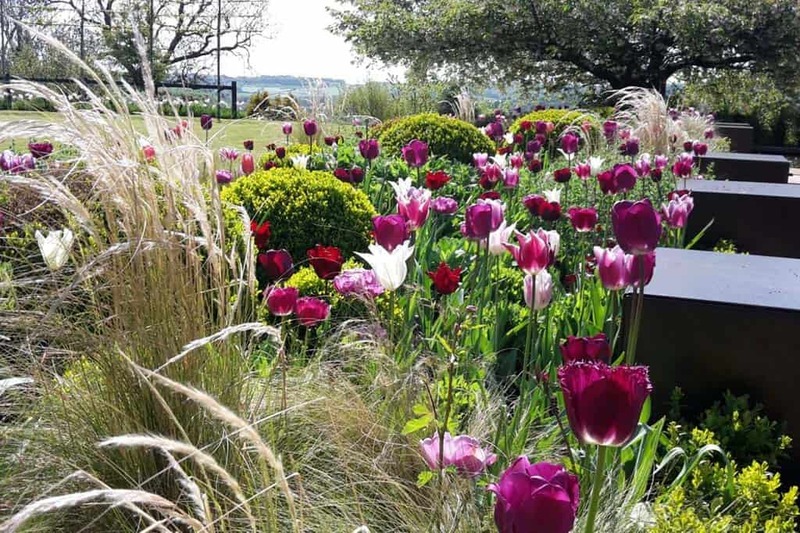 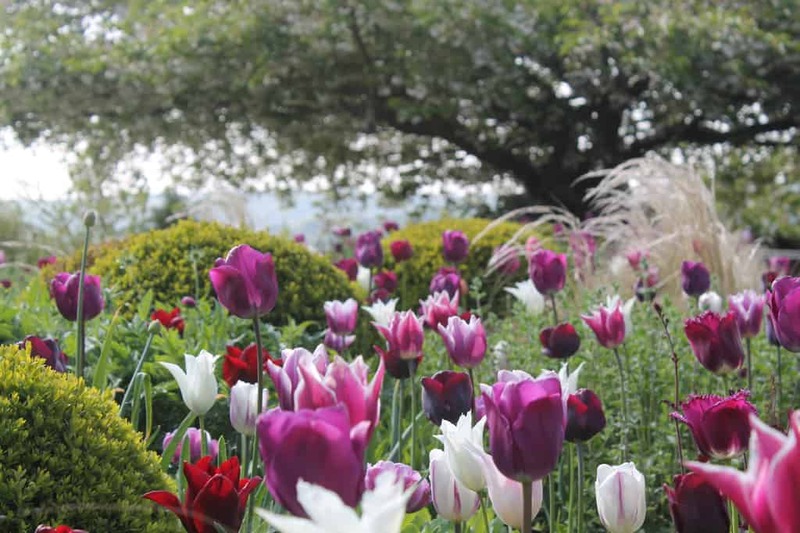 Grasses, planted en-masse, are interplanted with perennials and bulbs for added spring interest. 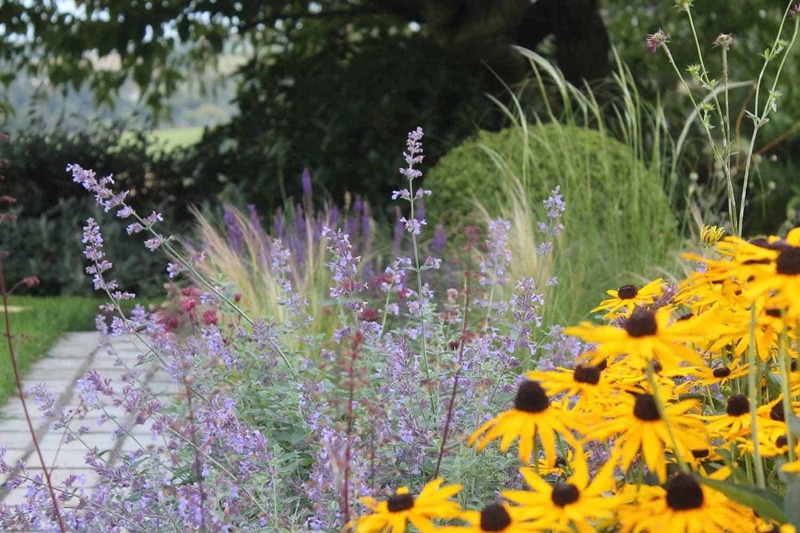 The majority of the perennials in this border are easy to look after, and simply require one cut back in either autumn or spring. 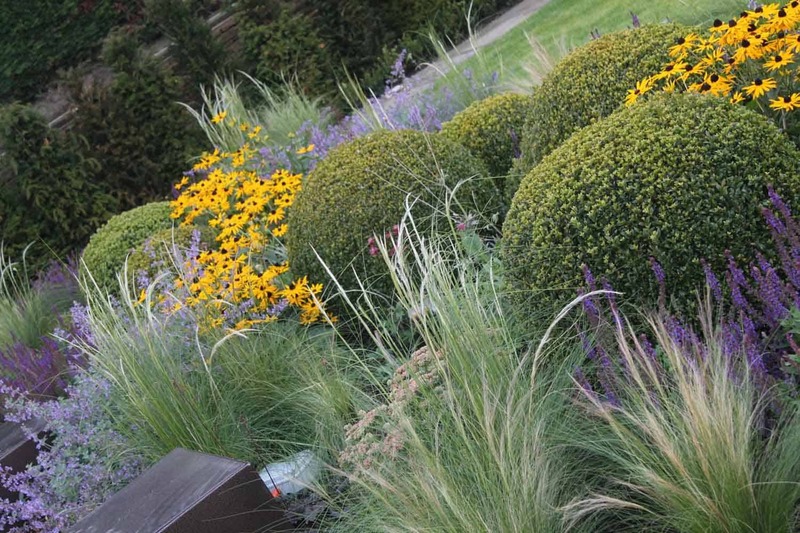 The grasses provide wonderful late summer colour and winter structure. 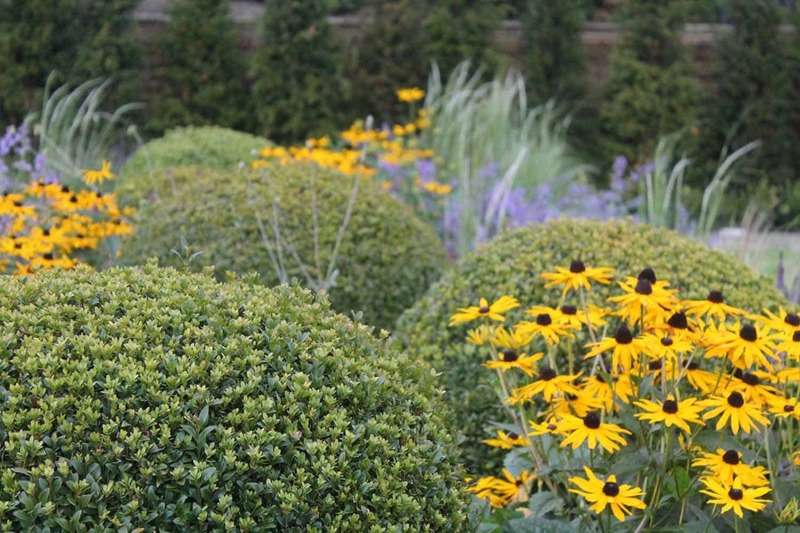 The pleached limes will soon knit together to make a more solid shaped hedge, just like the one at Chatsworth House. 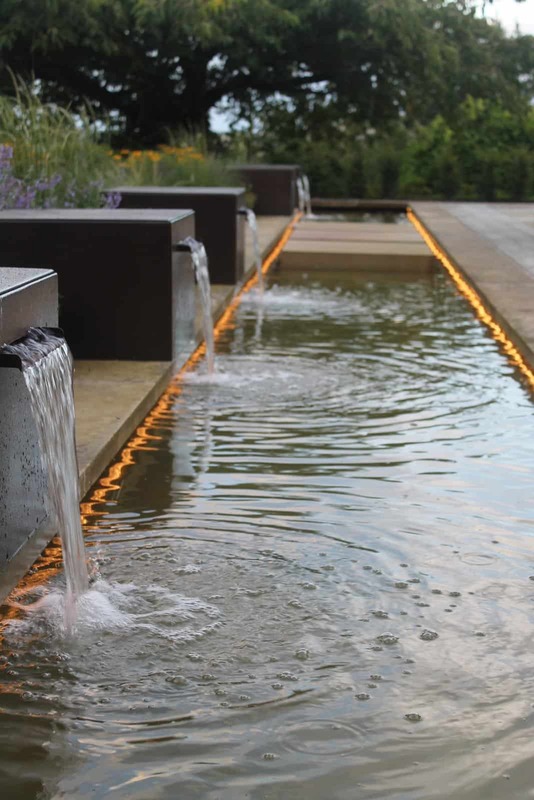 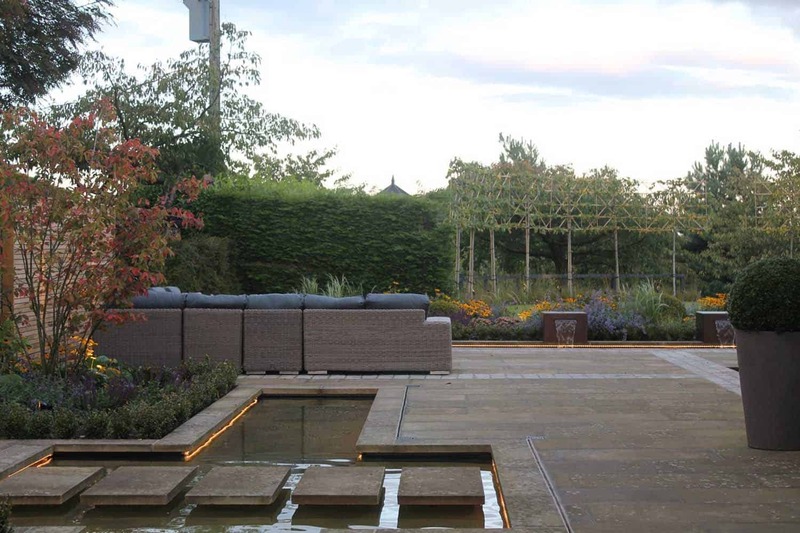 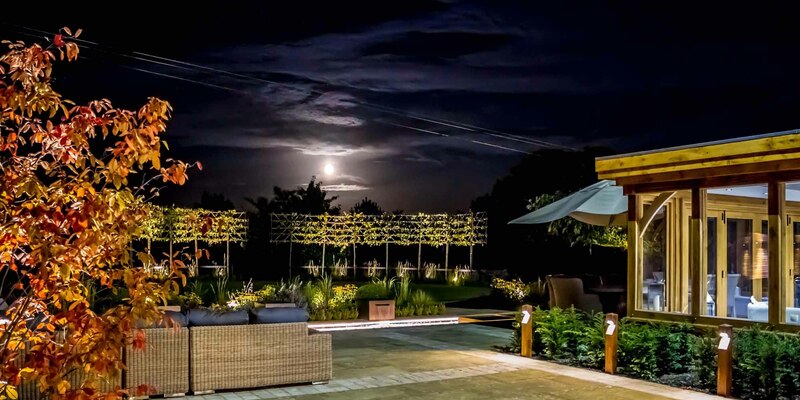 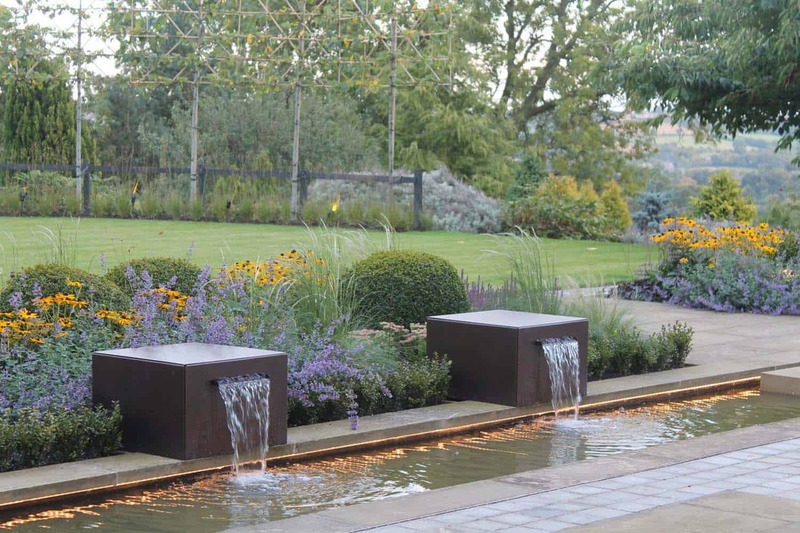 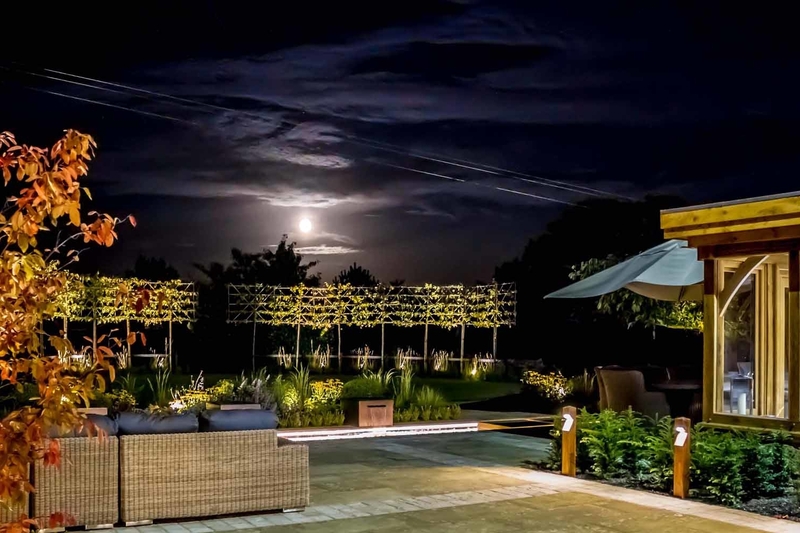 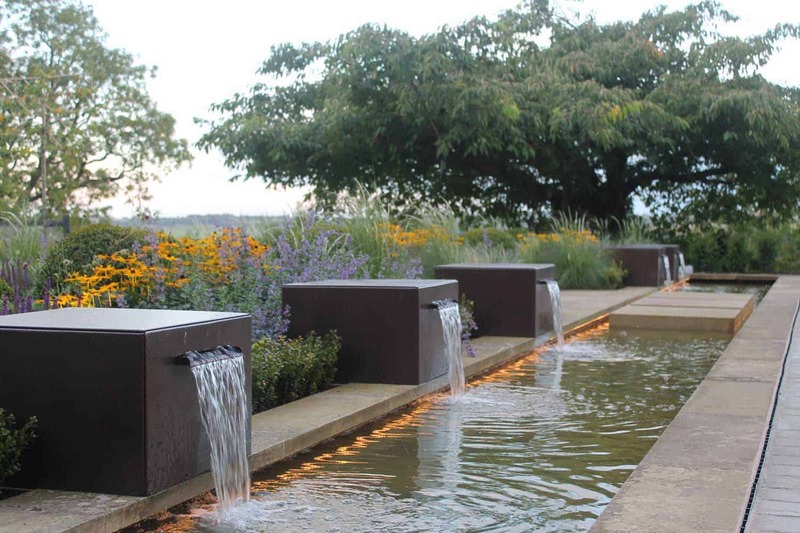 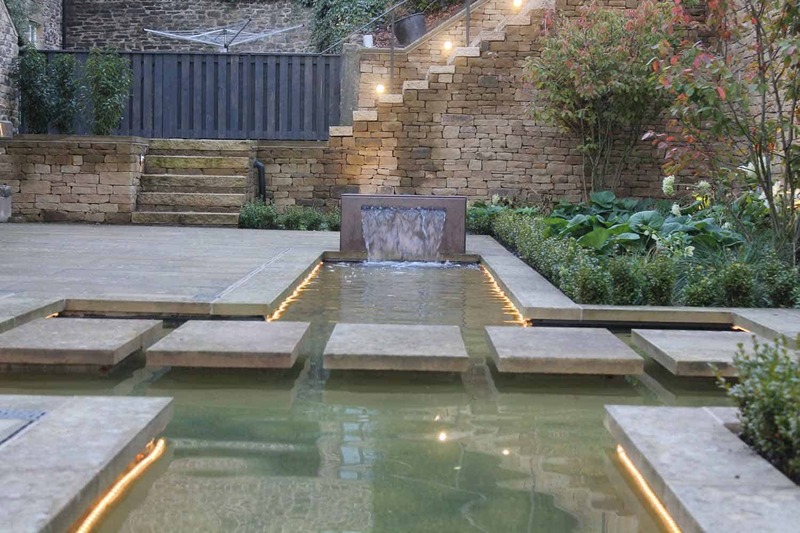 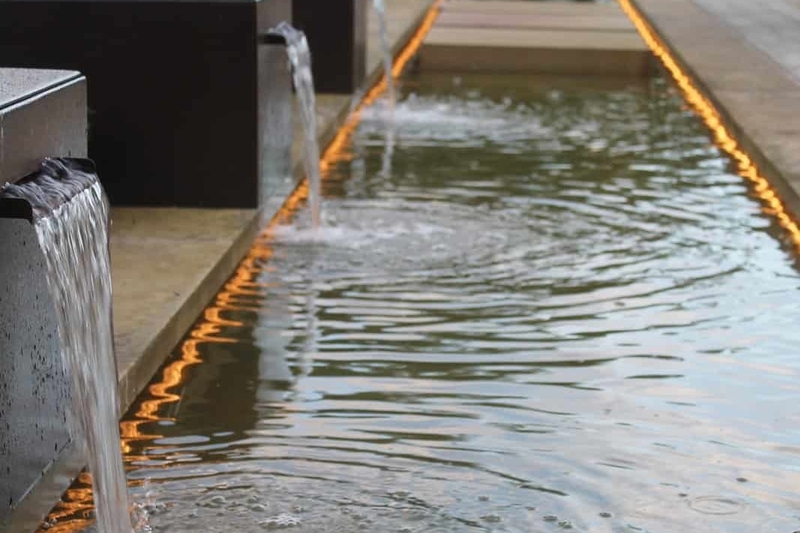 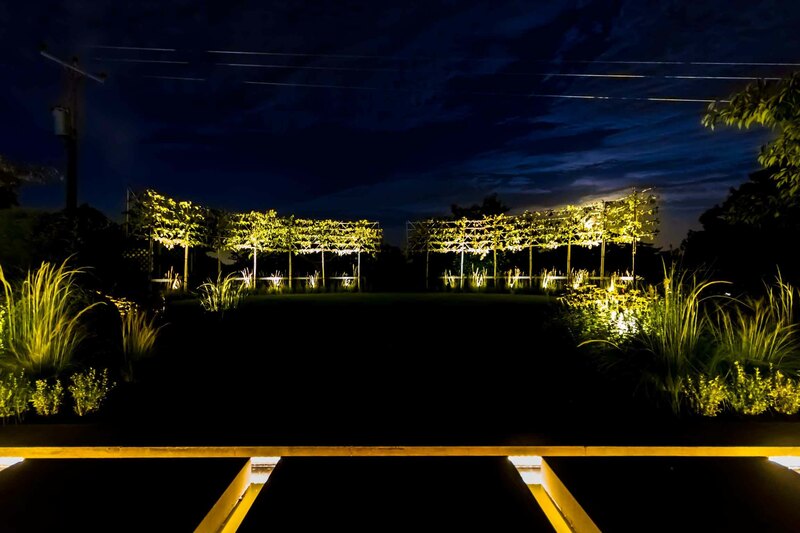 A wide variety of lighting has been integrated into the garden, illuminating the water feature and uplighting the multi-stemmed shrubs. 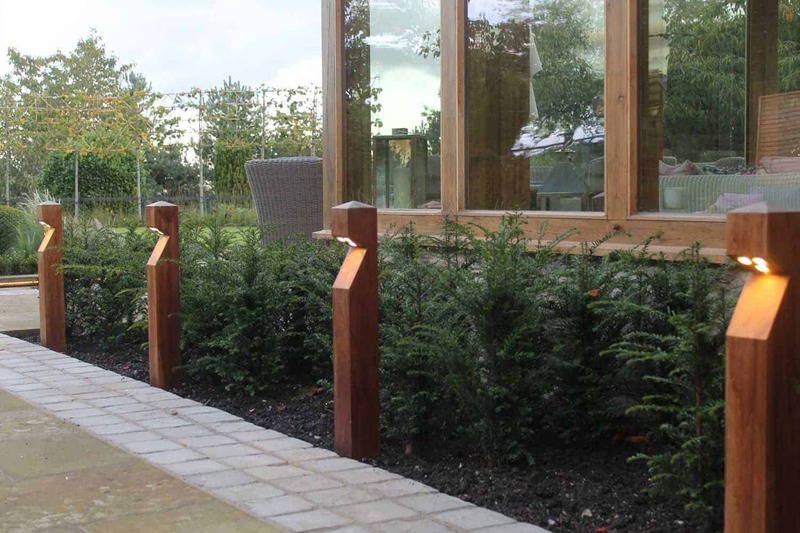 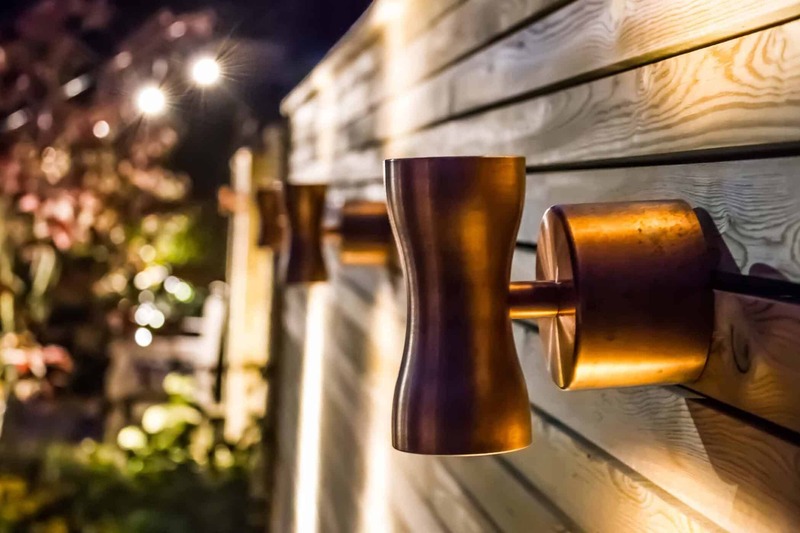 Paths are highlighted with Iroko hardwood bollards, and copper down-lights show the perfectly horizontal lines of the fencing to its full glory. 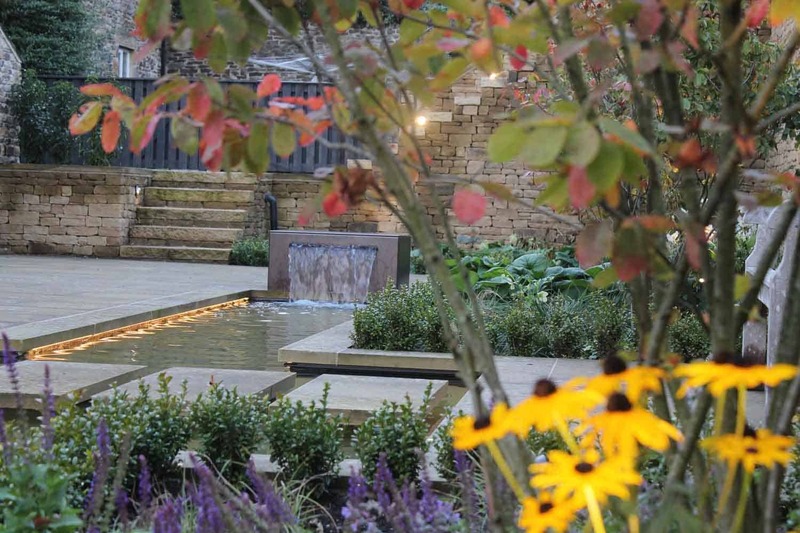 The pump room ensures the water is kept clean and smells sweet, whilst the 5 water blades create noise and movement.